First off, I recently bought myself an adorable fuzzy kitty cat hat. I've wanted one for a long time, because secretly I want to be a cat (really now, who doesn't?). It's black, of course, and I try to wear it as often as possible. It's too bad that I wanted until the end of spring to do it, but, well, there's my logic for you. Just me getting in touch with my feline side (haha, excuse the bad jokes). 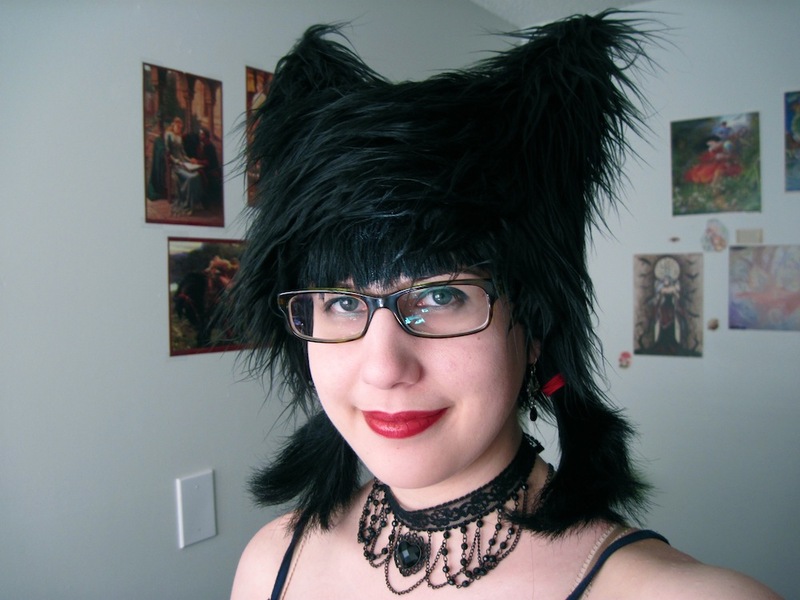 If you're interested in buying a cat hat, you can buy it the way I did: off eBay from kittyinthebox. They sell cat hats in all sorts of lovely colours, as well as many other items. And now for something not so completely different. Ah, summer is not quite here, but it sure feels like it. At least in Oregon (I hear in places such as Colorado there is still snow on the ground, yikes!). Yep, in good old Oregonian tradition the wether went from rainy winter to a few days of nice breezy spring and then railroaded right into summer mugginess with full vigour. And besides the obvious drawback of me not being able to wear my cat hat outside, hot weather does not agree with me. 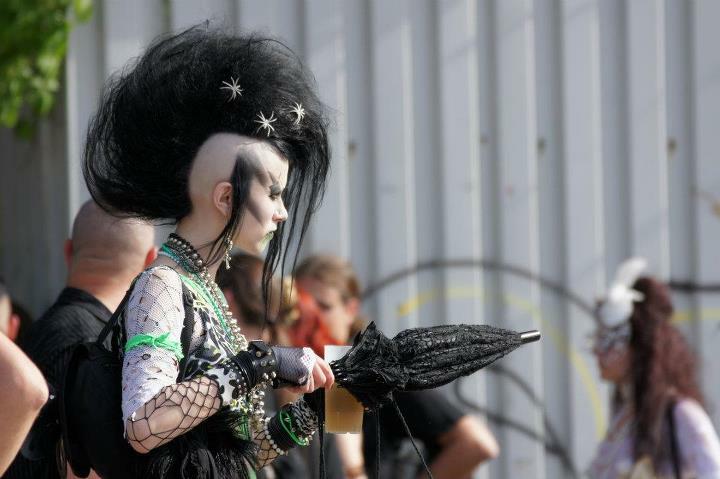 Really, it doesn't agree with many goths because of the spectrum of our wardrobe (I am of course talking about black, black, and, yes, you guessed it, more black). 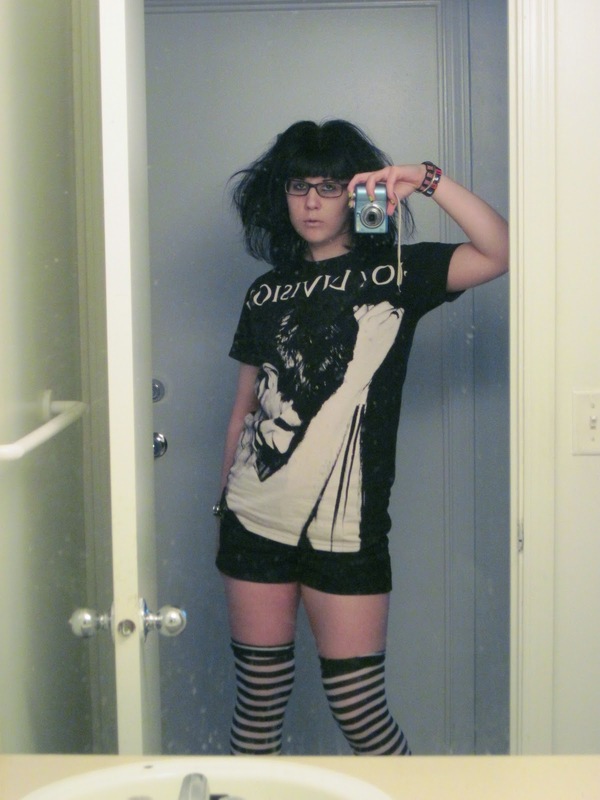 I've had to say goodbye to my black jeans and arm warmers and embrace my black shorts and silver bracelets. Which isn't all that bad. 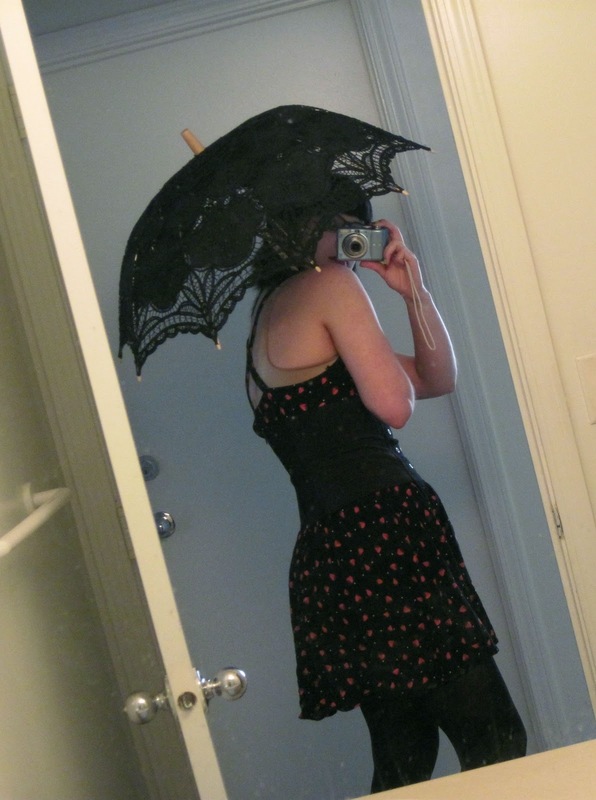 But it is increasingly hard to find good outfits that are creative, fun, and keep one's creepy self cool (also because I am paranoid of the sun and not only wear tons of sunscreen but also tend to want to keep on a jacket in spite of 80 degree weather). So, I decided to post this little sample of what I came up with one day as a good summer outfit and also to brainstorm some other options. For me, in the summer it helps to wear items that are comfortable and allow breeze to penetrate them. Comfort, because when you're hot and sticky, wearing tight and/or uncomfortable clothes is not helpful. Breeze penetrable, because that will help cool you off a ton. Today, I'm wearing a light cotton sundress and let me tell you, it has helped keep me cool all day. Also, just because it's summer doesn't mean you have to sacrifice the black or layering, you just have to be smart about it. I understand I'm not layering in these pictures, but let's imagine. 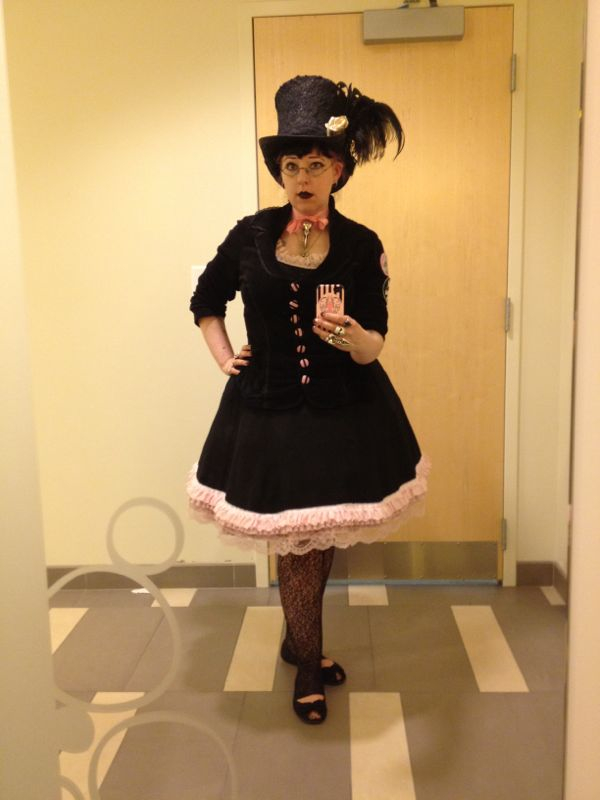 A black tank under a lacy shirt, fun socks or tights and a skirt, a ton of bracelets or some light gloves/armwarmers. Perfect! I understand hot weather can make it so hard that you don't even want to bother trying because it will all get gross anyway, but let me tell you: make the effort. Looking good will make you feel good. Here are some other bits of inspiration to get those gears going! 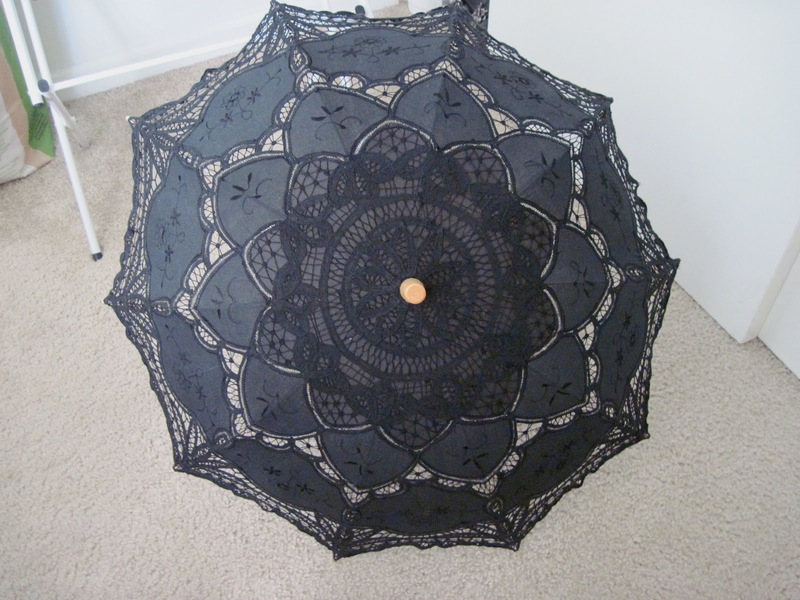 Also, invest in a parasol. Not only are they adorable, but they help cut down the heat (provided they aren't incredibly lacy sheer things that are purely decorative. Those are nice too, just keep in mind that those are not practical for sun protection). Hope that helps you battle the heat. Stay cool, creepy cats. 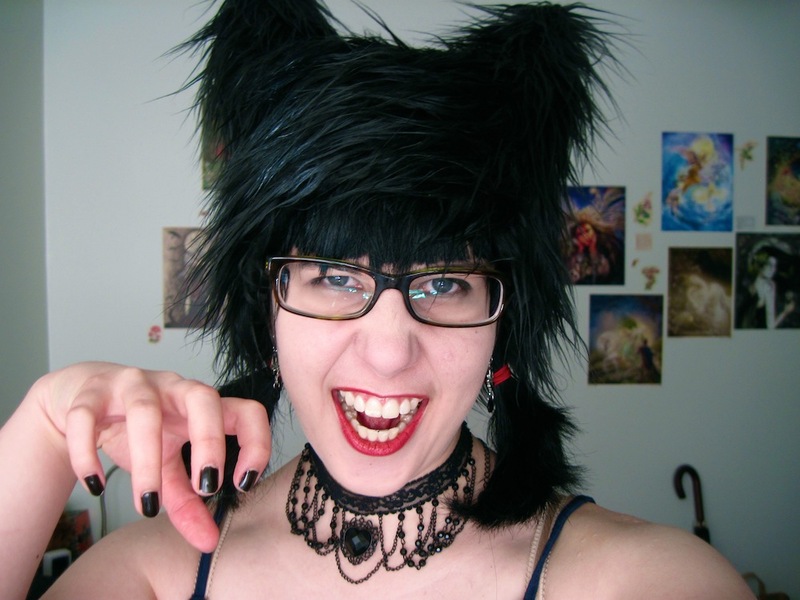 Happy World Goth Day, Creepy Cats!